Gangsta Party is a cool fire power game for Symbian^3 and Symbian S605th edition based touch screen smart-phones from Nokia. 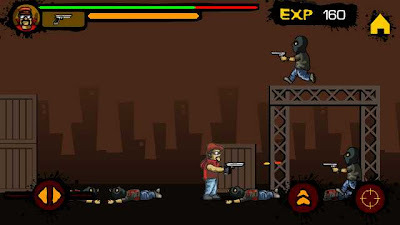 In this game, your objective is to collect new powerful guns as you fight. Collect the red cross boxes for more energy for your mission. You can use touch screen control to move left & right, jump and shoot. 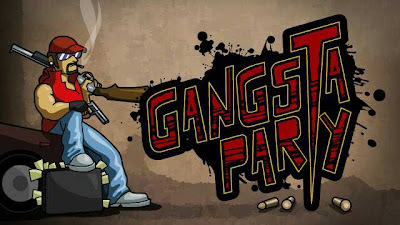 Gangsta Party Java game is developed by NextWave Multimedia. Shoot-out at the construction site! Shoot to annihilate your enemy. A all fire power game where you down with your guns blazing. The game is very exciting and graphics are superb. You will destroy car gunners and kill the tower guard. 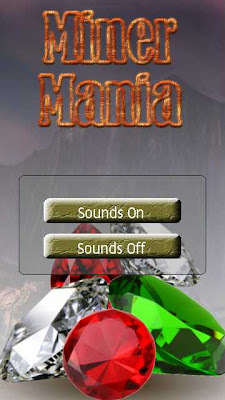 The game works with Nokia 5800 XpressMusic, X6, N97, N97 Mini, 5228, 5230, 5233, 5235, 5530 XpressMusic, N8, E7, C7 and C6. The version 1.0.0 of this game is available to download from the following link. Enjoy the game! 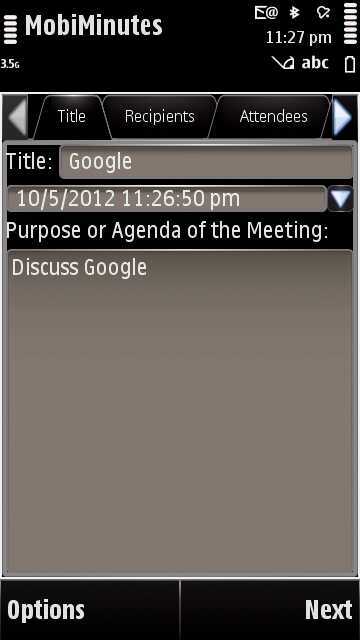 MobiMinutes is a utility application for Symbian S605th edition and Symbian^3 based touchscreen smartphones from Nokia. It's a portable minutes maker for mobile phones. MobiMinutes is developed by Lester Nacu and Gladys Castaneda. 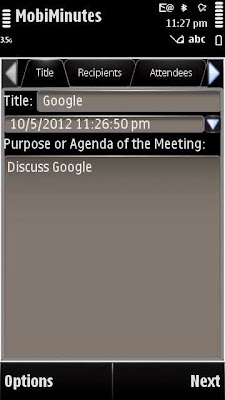 The application lets you record the minutes of your meeting through an easy-to-user interface. You can create minutes, view saved minutes. The tabbed interface of the application makes it very easy to store useful information very quickly. You can set title, add recipients, add other Attendees who are not recipients of minutes, write Purpose & Agenda of meeting, etc. 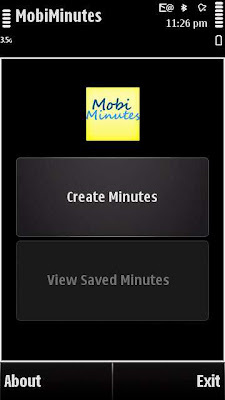 MobiMinutes can be very handy application for your mobiles. The application should work with Nokia 5800 XpressMusic, N97, N97 Mini, X6, 5228, 5230, 5233, 5235, 5530 XpressMusic, N8, E7, C6 and C7. 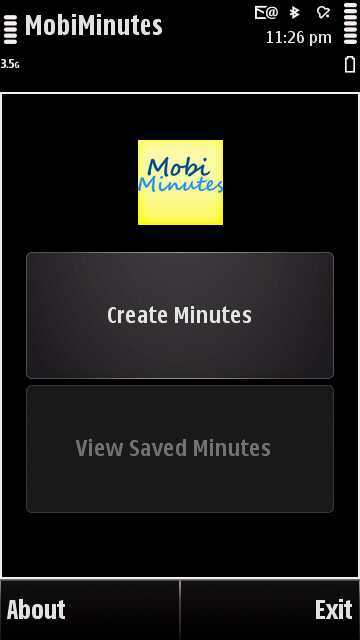 The version 1.0.0 of MobiMinutes application can be downloaded from the following link. 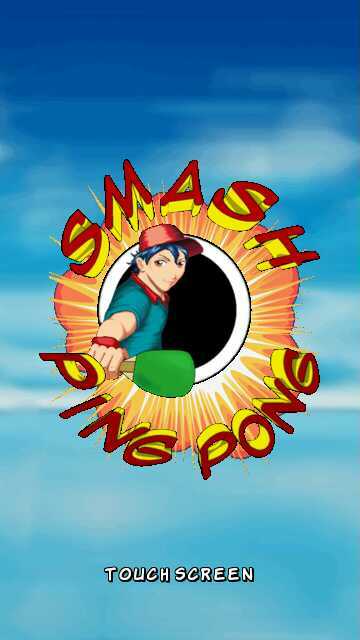 Smash Ping Pong is a Java game for Symbian S60 5th and Symbian^3 based touch screen mobile phones from Nokia. To become a Smash Ping Pong master, you'll need fast reactions and a lot of skill. There are a few basic skills you will have to master. The star at the top of the screen will tell you your best rally total! Try and beat it! Serving: By default your serve will go across court from wherever you initiate it. You can however play more cunning serves which will be harder for the opponent to return. Try stepping back a little and adding some backspin. Or why not move in closer and add some direction to it. Anything to throw off your opponent. Returning: In order to return a shot you must first get into position. Once you have done this the bat will lock and you must choose the type of shot you wish to play by pressing the appropriate key. If you only just get into position but don't have time to select any shot. Don't worry. You'll still return the ball. But with very little power. This may give the advantage to your opponent. There are two game modes: Quick match and Challenge. The game is developed by P1 sports ltd. 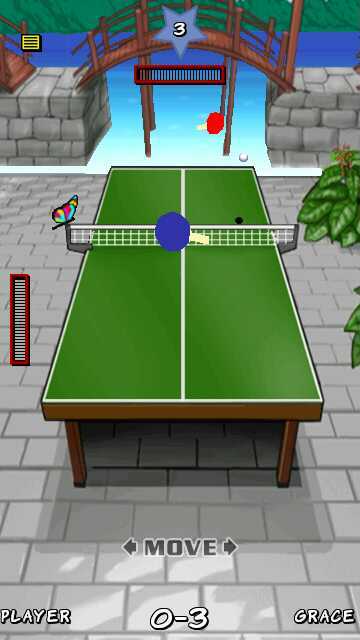 The game works with Nokia 5800 XpressMusic, N97, N97 Mini, X6, 5228, 5230, 5233, 5235, 5530 XpressMusic, N8, E7, C6 and C7. The version 0.2.5 of this game is available to download. Note: Make sure you off the on-screen keyboard before launching this game on your mobile, otherwise you will see an onscreen keypad. 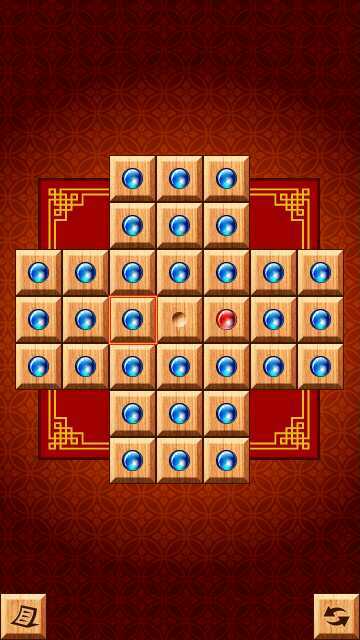 3 in 1 Old Skool Games is a nice Java game for Symbian^3 and Symbian S60 5th edition based Nokia touchscreen mobile phones. The game offers you three very popular games within a single place. These games are: Ultimate Reversi, Celebrity Pairs and Marble Solitaire. Reversi is a game played by two players and the aim of the game is to cover more of the board with your color than your opponents by the time no more moves are possible. 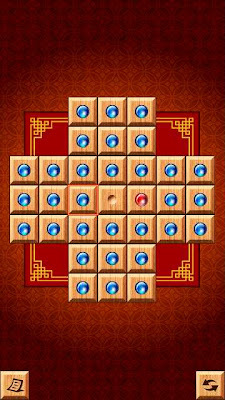 Player take it in turn to place a counter on the board, which must be placed in such a way that there is at least one counter of the opponents color in a horizontal, vertical or diagonal line between the new piece and another of the same color. When a piece is placed, all counter of the opponent's color, which is in a horizontal, vertical or diagonal line between new piece and any of the same color are reserved, so a well placed move can cause multiple lines of pieces to reverse. Pieces may be reversed many times during the course of a game. If a player cannot make a move which reverse at least one piece, then their turn will be skipped. When no more moves are possible, either because the game is full or no more valid moves may be made, the game ends and the number of counters of each color are totaled. The winner is the player with the highest number of pieces on the board. In Marble Solitaire, the board consists of 33 squares in the form of a cross. On each square is a little ball. The centre square is empty. 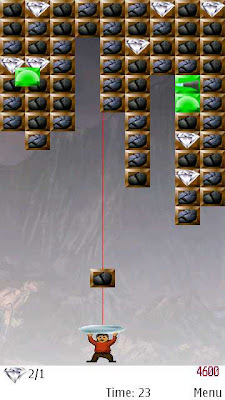 At each turn your goal is to jump over a marble onto an empty square. 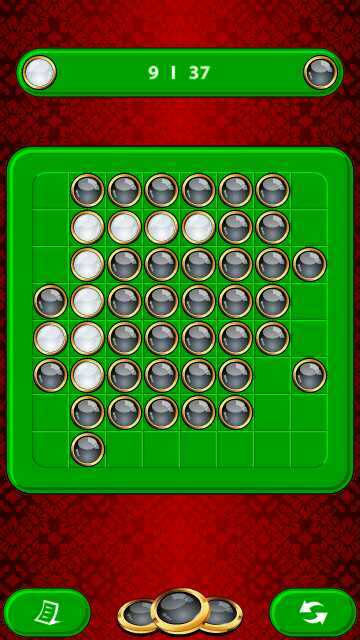 Each time you do so the ball will be removed from the board. Your task is to jump over all the marbles until only one remains on the board. 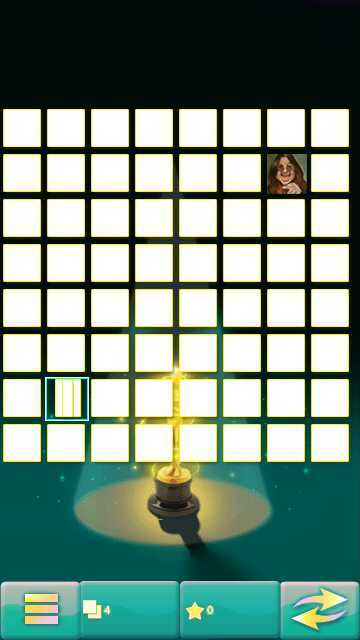 Play your way through tricky puzzles unlocking hidden games in the arcade level. In Celebrity Pairs, your task is to find every pair of cards in the shortest time possible. 3 in 1 Old Skool Games is developed by Inlogic Software. The game works with Nokia 5800 XpressMusic, 5530 XpressMusic, N97, N97 Mini, X6, 5228, 5230, 5233, 5235, N8, E7, C7 and C6. I am sure some of you would find this game nice enough to have on your mobiles. The version 1.0.0 of this game is available to download from the following link. Castle Rush! 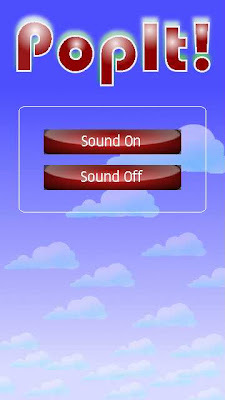 is a new Java game for Symbian S60v5 and Symbian^3 based touch screen mobiles from Nokia. RUN! The defensive barrier is destroyed and only the ruins are left! 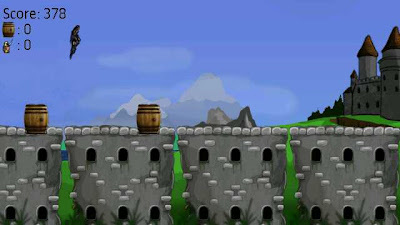 Help your soldier to escape by jumping between the ruins that are still standing. Don't leave any beer barrels to the enemy to drink. Destroy the barrels as while you escape! Watch out for soldier you might face. They will fight back and you will fall down! Castle Rush! is a very nice game developed by Hyperkani. It's a free and full version of game but comes with ads so you need to have INTERNET connection available on your mobile. 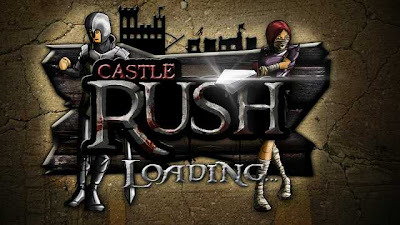 Castle Rush! game works with Nokia 5800 XpressMusic, N97, N97 Mini, X6, 5228, 5230, 5233, 5235, 5530 XpressMusic, N8, E7, C6 and C7. The version 1.0.0 of this game is available to download. Select your warrior and star playing the game. Enjoy!! 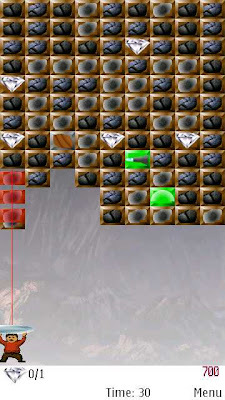 Miner Mania is a very different game for Symbian^3 and Symbian S605th edition touch screen smartphones from Nokia. Miner Mania is a puzzle game where your objective is to mine the rock because rock is worthless and just an extra payload in your truck. You must mine them but do not collect them. Try to get as many jewels and you will be rewarded. Remember that mining is expensive. In each level you have certain goal to reach. You must achieve that to advance to the next level. There are dynamites using which you can explode rocks, shield protects you from worthless rocks and diamond drill helps you to mine your rock. There are action pieces. Truck will bring you pieces more faster, sand will slow you down and with axe more of rocks will fall down so watch out! Miner Maia is a perfect pastime game on your mobiles. 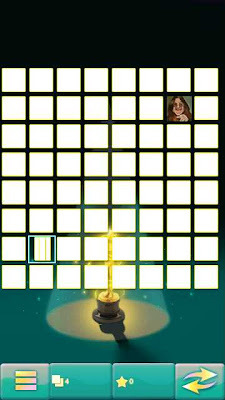 The game is developed by Hyperkani. 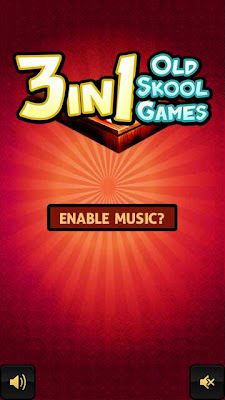 The game requires INTERNET connection to be available on your mobile in order to display ads. It's a free full version of game with ads. The game works with Nokia 5800 XpressMusic, 5530 XpressMusic, X6, 5228, 5230, 5233, 5235, N97, N97 Mini, N8, E7, C6 and C7. The version 1.02 of this game is available to download from the following link. Pop It! is a nice game available on Symbian^3 and Symbian S605th edition based touch screen smartphones from Nokia. Pop It is a game where you try to pop flying clusters of the same color balls. 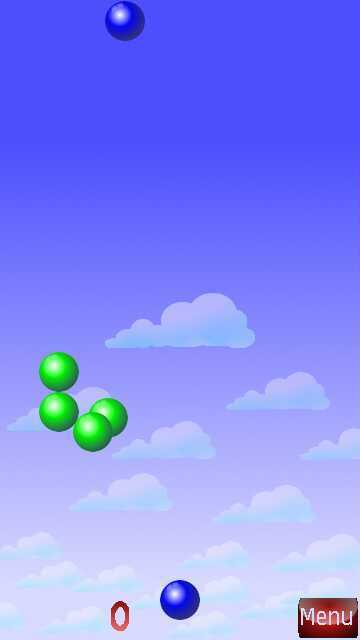 Four same color balls explode and give you points. Different color clusters explode as well, but give no points. You get more points if you can pop the same color clusters in a row. Pop It game is developed by Hyperkani and it requires INTERNET connection available on your mobile because its a free full version of the game with ads. Pop It game works with Nokia 5800 XpressMusic, N97, N97 Mini, X6, 5228, 5230, 5233, 5235, 5530 XpressMusic, N8, E7, C6 and C7. The version 1.0.0 of this game is available to download from the following link. 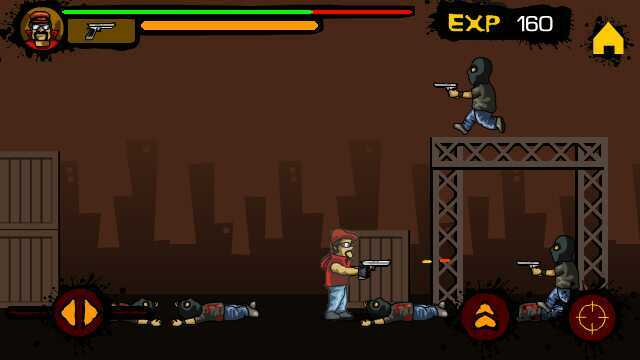 Copyright © 2012 by Download Game Nokia.All Rights Reserved.